Get your motor running and hit the road, because the Vauxhall ADAM SLAM was born to be wild. From the vivid colours to the racy-looking steering wheel, ADAM SLAM expresses attitude and pure energy. This car doesn’t just talk the talk – it swaggers the swagger. 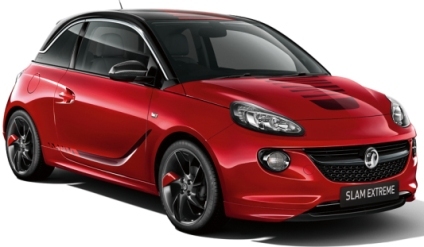 Vauxhall Adam Slam prices are based on business contract hire or Vauxhall Adam personal car leasing over 24 Months. Offers based on 5,000 Miles per annum - Other miles and terms available upon request. 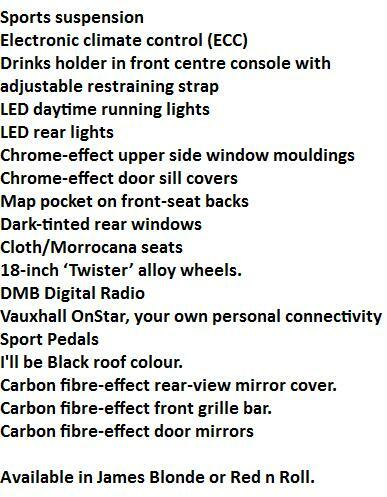 Vauxhall Adam Personal Leasing and Business Contract Hire Deals. If you would like a full quotation on leasing the Vauxhall Adam simply complete the quote request form above and we will send you a full business or personal car leasing quotation. 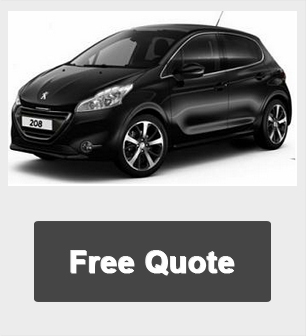 If you are happy with the quote and want to lease the Vauxhall Adam just complete the application form attached to the quote and email back. Once you have submitted your application we will contact you with a decision (typically within 24 hours). Leasing a Vauxhall Adam has never been easier.